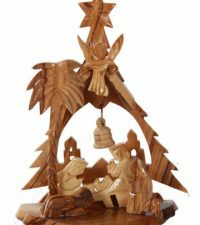 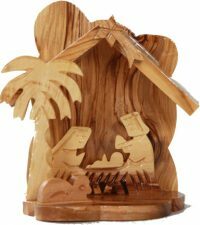 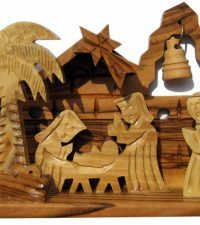 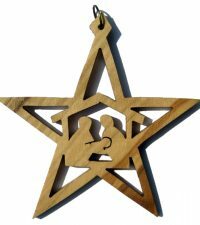 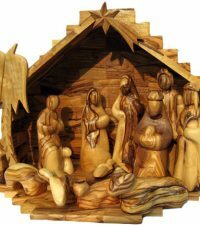 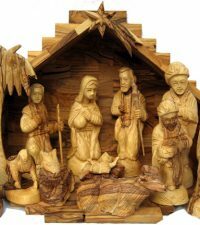 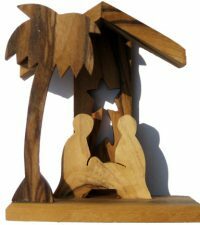 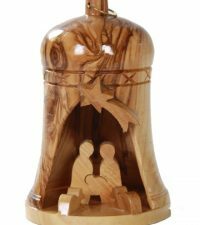 At HolyLand-Gifts.com, you’ll find just the right Wooden Nativity Scene to suit your specific taste. 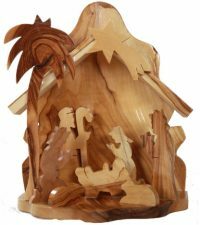 Whether you’re looking for something to grace your fireplace mantel, or a Nativity to present as a gift, we carry Grottos in all shapes and sizes and in different styles to suit your taste as well. 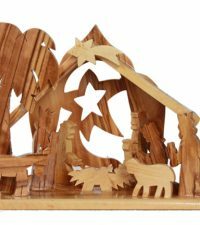 One of the first things you’ll notice about each Wooden Nativity Set we carry is that they are naturally beautiful. 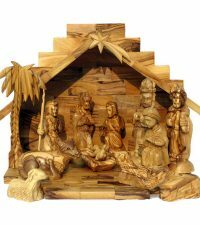 This is due to the striations in the olive wood which is used to form each individual piece. 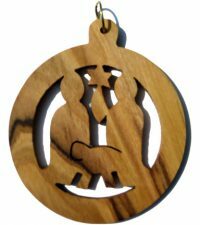 Just like fingerprints, no two olive trees are exactly alike. 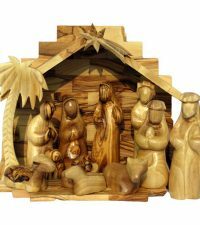 Each has its own colors, and the Bethlehem Christian artisans who make these Nativities and the rest of the products we offer know exactly how to make the most of each piece of wood they use, and best of all, the wood gains beauty and richer color with each year that passes. 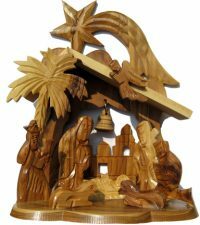 Whether you are looking for a new meaningful Nativity scene for your home, or if you’re planning to present someone special with the gift of a Nativity set this Christmas, you can be sure that a hand-carved olivewood set will blend seamlessly with any décor, and will be well-received by all.